Today we're checking out the best free checking accounts for consumers. Depending on where you bank, what you do, or what you're comfortable with, there is likely a free checking account that will work for you. Too many people fall for the myth that banking is expensive and that the only options for a checking account involve fees, or maintaining outrageously high balances to keep the fees waived. But today, we're fighting this myth. We're going to show you our favorite options depending on your situation, as well as a full round-up of free checking account options that might work for you. Featured Bank: nbkc Bank offers a truly free checking account that pays interest, has no minimum balance requirement, and even has mobile check deposit. Open an account at nbkc Bank here. Based on that criteria above, here are our choices for the best free checking accounts available. The Chase Total Checking® isn't truly free unless you meet the minimum monthly requirements to make it so, but we list it as our favorite checking account because it's available nationwide, has branches nearly everywhere, and is one of the most robust banking products out there currently. Plus, the minimum requirements are super easy to meet - check it out. And right now, you can get up to a $200 bonus when you open an account and setup direct deposit! That's awesome! Why I Like It: A great account opening bonus, with one of the largest, most well known banks in the United States. Learn more about Chase Total Checking® here. Get up to a $200 bonus! BBVA ClearConnect Checking is a lesser known bank nationwide, but they do offer nationwide free checking! However, where BBVA really shines is in it's access to ATMs. Furthermore, there is no real requirements to maintain free checking at BBVA. They do charge for paper statements (and it's opt-out), but once you opt-out, you don't have to worry about making enough direct deposits or having a minimum balance. Why I Like It: Easy online banking without worrying about minimums. Learn more about BBVA ClearConnect Checking here. Chime was one of the original free mobile banking apps that revolutionized mobile banking. They started with a mobile-first mindset, and also wanted to keep fees as low as possible. As such, they have a top notching free checking account if you're okay with a mobile only platform. Chime has no physical locations, and all of their banking is done online - in the app. Why I Like It: Free mobile banking. Learn more about Chime Free Checking here. Check out our Chime Bank Review here. Radius Bank offers the Hybrid Checking Account. This is one of the few checking accounts that earns a solid interest rate on your money in the account. As of April 24, 2019, it currently pays 1.00% APY on balances between $2,500 and $99,999, and 1.20% APY on balances over $100,000. They are very mobile friendly, with unlimited ATM reimbursements, and mobile check deposits. Why I Like It: Interest-bearing checking. Open a Radius Bank Hybrid Checking account here. Ally Bank is one of the most well-known internet only banks around, and they have a great free checking account that matches their brand. They are known for solid customer service and great banking products. They have no monthly fee free checking, and a great mobile app that allows mobile check deposit. Why I Like It: Well known free checking brand. Learn more about Ally Bank Checking here. Capital One 360 Checking is another online banking giant that has been around for a long time. This is another long time free checking account that has a lot of popularity. Capital One 360 Checking has several innovative features that you don't see at other banks. First, they have no foreign transaction fees if you use your ATM card overseas. Second, they have an overdraft option where you can basically opt for a personal loan instead. Why I Like It: Solid online bank with innovative features. Learn more about Capital One 360 Checking here. The Fidelity Cash Management Account isn't technically a checking account - it's a brokerage cash management account. However, it functions in a very similar way, and has a lot of the perks you'd expect from a free checking account. Furthermore, if you already have all your investments at Fidelity, this is an easy tie-in to access your money and manage all your finances from one page. This account has online banking, BillPay, free checks, free mobile deposit, free ATM fees (reimbursed nationwide), and no minimums or fees! Why I Like It: Interest bearing, free ATM fees, connects to your Fidelity accounts easily. Learn more about the Fidelity Cash Management Account here. 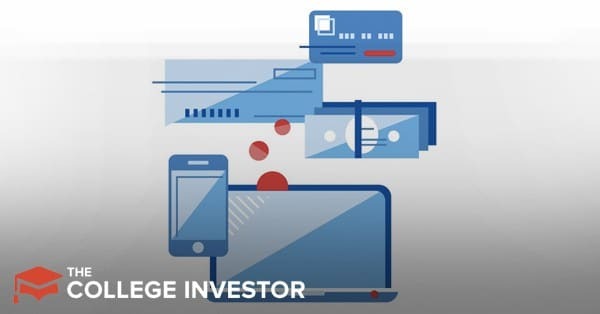 The Schwab High Yield Investor Checking Account is very similar to the Fidelity account mentioned above, except its offered by Charles Schwab. This account has no monthly fees, no minimum balance requirements, and it provides unlimited ATM fee reimbursement worldwide. The kicker is you have to have a brokerage account at Schwab (which is free and you don't have to use), but it's another account to maintain. Why I Like It: Free checking connected to your Schwab account. Learn more about the Schwab High Yield Investor Checking Account here. USAA Classic Checking is a great choice for free checking if you qualify to have a USAA Account. USAA limits membership to servicemembers and DOD employees and their families, so that could be a bar to entry for some. If you do qualify for USAA, then their USAA Classic Checking is a great product, with no fee checking, free checks, online BillPay, and ATM free reimbursements. Why I Like It: Free checking, free checks, great mobile app for those that qualify for USAA. Learn more about USAA Classic Checking here. nbkc Bank Checking is a great free checking account if you're looking for a checking account that earns interest, has no minimum, and an easy to use mobile app. They offer truly free checking, and even offer free checks and a network of free ATMs. They also have mobile check deposit, which they offer for free. Check out our nbkc Bank review here. Why I Like It: Free checking, free checks, and free mobile check deposit. Learn more about nbkc Bank Checking here. ​We talked about it slightly above, but there is a long standing myth in America that checking accounts are expensive. As a result, too many people go without this tool, and end up using expensive tools like check cashing, money orders, and more. According to a NerdWallet study, the average checking account charge $10-12 in monthly maintenance fees. That's crazy!​ There is no reason than anyone should pay these fees when opening a checking account. Furthermore, to waive these fees, many "big banks" require you to open other products with them (such as a savings account), or maintain a monthly minimum (say $5,000 at all times, or pay the fee), or they require you to have direct deposit setup. Some banks even have a transaction requirement to waive the fee - for example, you must have 25 debit cards transactions per month, or you get charged a fee. All of these fees and requirements are wrong. Students (and other people) typically maintain lower balances than older Americans. They also might not have a job yet (for direct deposit), or have other accounts at the bank. As such, they have unique requirements that we wanted to share, so that you can see how we based our criteria for the best free checking account options. No Monthly Maintenance Fees: This is a big one. All of the accounts we consider must not charge a monthly maintenance fee, today, or ever. We hate gimmicks, and some banks waive the fee for a certain amount of time, and that's still not okay with us. No Or Low Monthly Balance Required: You shouldn't have to have huge amounts of money to waive fees or qualify for a free checking account. We only look for banks that don't have a monthly minimum balance requirement or if they do, it's incredibly low. No Direct Deposit Requirement: Many students don't have jobs yet, so it can be hard or impossible to get direct deposit. As such, we don't want banks to require direct deposit for free checking. 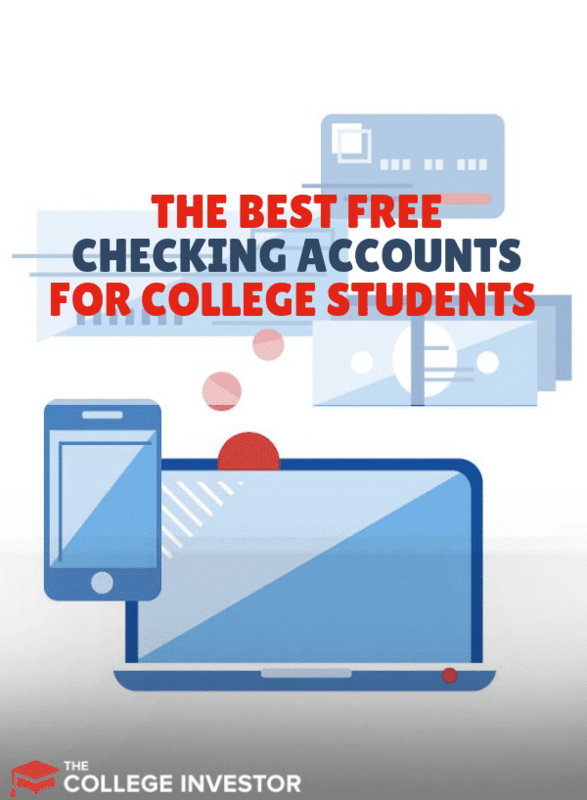 Awesome Online Access: The best free checking accounts will also have awesome online access, a great app or mobile site, and be accessible anywhere. No ATM Fees: College students are on the move. They should be able to access their money for free, where ever they are. Hopefully you can see that there are good options for free checking. You don't have to pay fees to have a checking account - you just need to open your account at a good bank. No monthly fees or account minimums are a key for college checking accounts. A lot of times the school would have relationships with banks that can help students too. Definitely look into those. I’ve seen those before, but many times they are promotional (like, only for 2 years no fees/minimums). That’s why we recommend the banks above. Capital One 360 is good, and offers a lot of options for free. It doesn’t quite make our best list because they don’t offer ATM Reimbursement (you must you one of their ATMs), and they charge for checks. Also, they don’t offer other features like courtesy overdraft to a linked account and a bit more. The three above edge them out slightly. Capital One 360 would be a solid 4th on our list. Sadly, many of the major national options you mentioned don’t actually offer free checking. Chase only offers free checking if you maintain a $1,500 minimum balance or linked accounts with a $5,000 minimum balance. That can be tough for a college student or young adult. US Bank requires an average $1,500 daily balance or direct deposits into the account of at least $1,000 each month. I’m not familiar with the other banks you mentioned, as they’re regional, but a quick Google search reveals that some may offer basic free checking (which is great), but do they offer all the free services as our recommended choices? Sadly, even many credit unions are moving away from truly free checking. But it never hurts to look! I have banked with a credit union since my sophomore year of college and can agree that it is definitely great to have a free checking account. Mine has no monthly maintenance fees and only requires a very low monthly balance. My freshman year of college, I got an offer for no fees/minimums from a local bank as my college has a relationship with the bank but, as pointed out in another comment, it was only for 2 years as it was a promotional deal.